Fitness trackers are in demand but not everyone is willing to shell out a whole lot of money on it. And hence there are a tons of them out there that would’nt pinch much on your wallet but get the job done well. And one of the best ones in that game of affordable fitness trackers is the Mi Band that was and is one of the best selling fitness band across the world. This year saw the much anticipated Mi Band 2 and as rumored since a while, it came with a major upgrade compared to its predecessor – a display screen. Although the availability of the Mi Band 2 is currently limited to Chinese markets, there are sites like AliExpress, Banggood and Gearbest that let you import it easily but you’d have to shell out a little more than the official price. What is the price range in the above stated websites? Any custom charges involved? The prices may vary but at any point in time you should be able to strike a good deal for 30-35 USD. Most of the above mentioned sites ship fast. Since the price is lesser there is usually no custom charges involved. We ordered the Mi Band 2 from Banggood which costed us 2600 INR including shipping and it was delivered within 10 days. 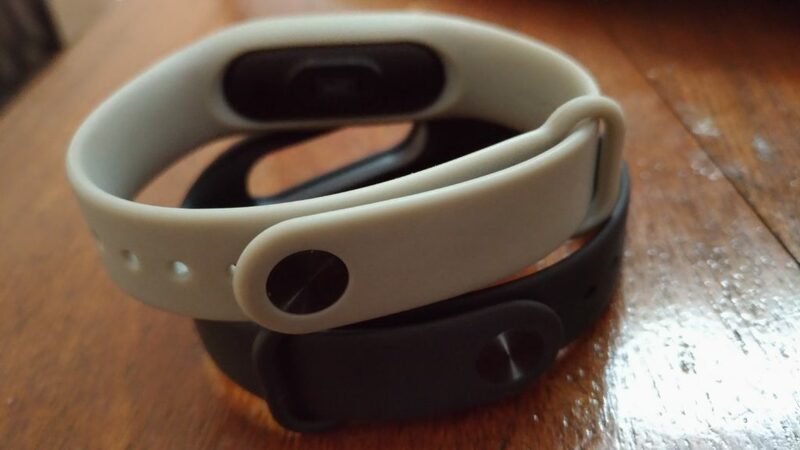 What are the contents of the Mi Band 2 Box? What is the length of the band and the weight of the console? The total length of the band is 235mm while the adjustable portion of it is around 155-200mm. The weight of the console is just 7 gms! What is the battery capacity on the band? And how long does it last? 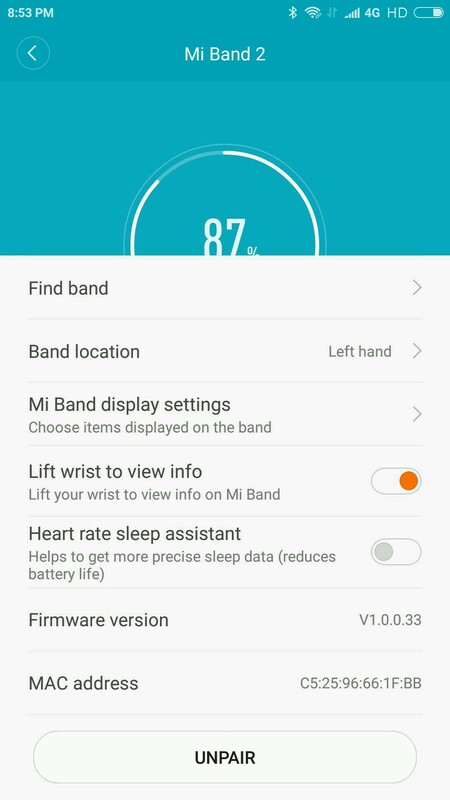 Mi Band 2 has a 70mAh Li. Po battery that is sealed. Xiaomi promises a 20-30 days of battery life for varied usage pattern. In our tests that had the phone hooked to the band all day long with alerts for calls and notifications turned on. It lasted for around 21 days which is not bad at all. It is of course not as good as the Mi Band 1 but there is also the display now and considering that, 21 days is impressive! 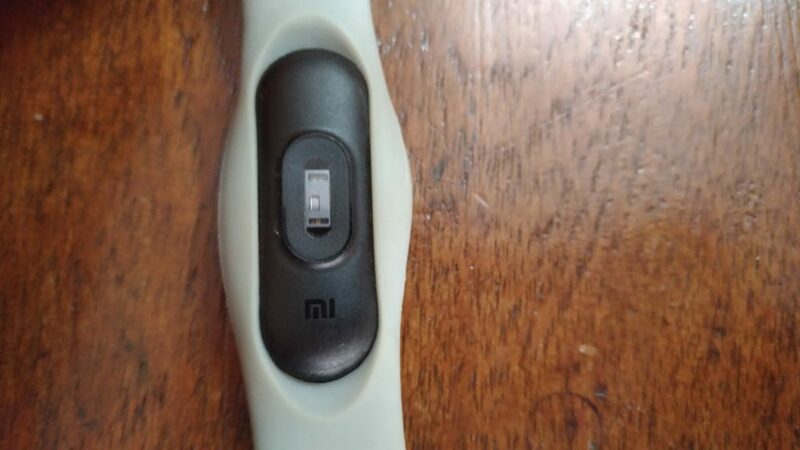 Is the Mi Band 2 water and dust proof? Does it work well? Yes the Mi Band 2 is IP67 certified i.e water and dust resistant. We did try the band during shower and in rain and there were no damages. It worked like a charm. Of course, you should never dunk the band into water. Does the Mi Band 2 work with iPhones as well? Yes, the Mi Band 2 works with Android devices with OS versions 4.4 and above and iPhones with iOS 7 and above. Does the Mi Band 2 work with Google Fit app? 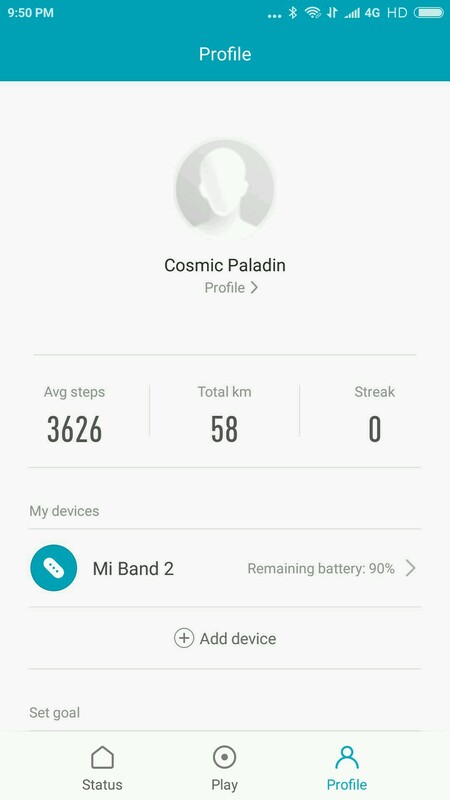 And is there a way to share the data from Mi Fit app to Google Fit app? 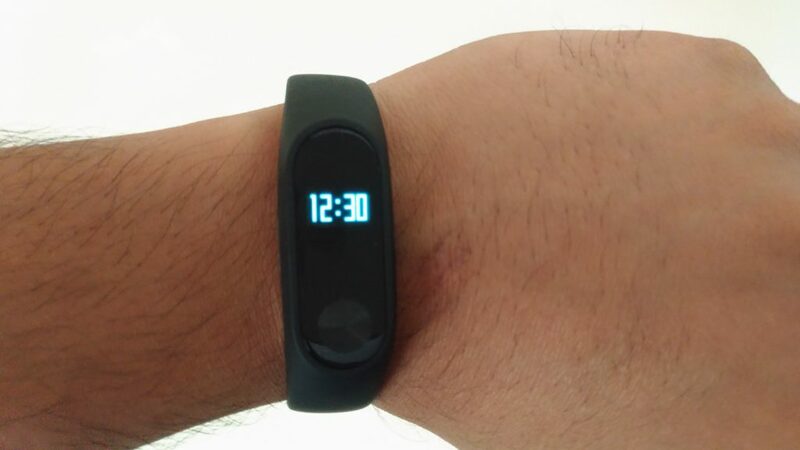 The Mi Band 2 works with Mi Fit app. 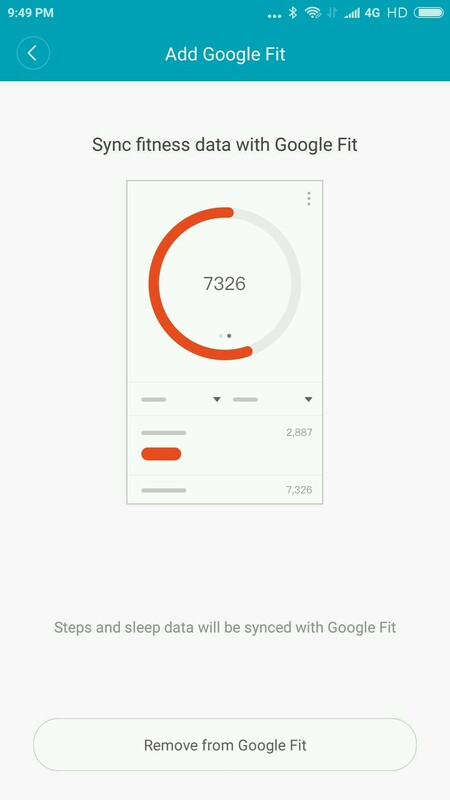 There is an option to sync the data from Mi Fit app to the Google Fit app and you can track it from there. Following screens show the simple steps and it works like a charm. How is the display? Is it visible under sunlight? Is it tough enough? The Mi Band 2’s display is a 0.42″ OLED display which has a scratch and fingerprint resistant glass. The visibility under the sun too is good and we never had to struggle on the readability front. How does one operate the band? The display has a round capacitive button. Touching it each time will toggle across different options. This works very well, and a subtle tap works too. What all can be seen via the display? Getting the display to turn on is as simple as simply raising your wrist and it would turn on momentarily to display the time. How is the strap as compared to the Mi Band 1? The strap quality itself seems to have improved. It fits well and there is no hint of any irritation or poking once you wear it. It is also very light and the button snaps on nicely. Its a snug fit and there was never once we felt it would fall off. 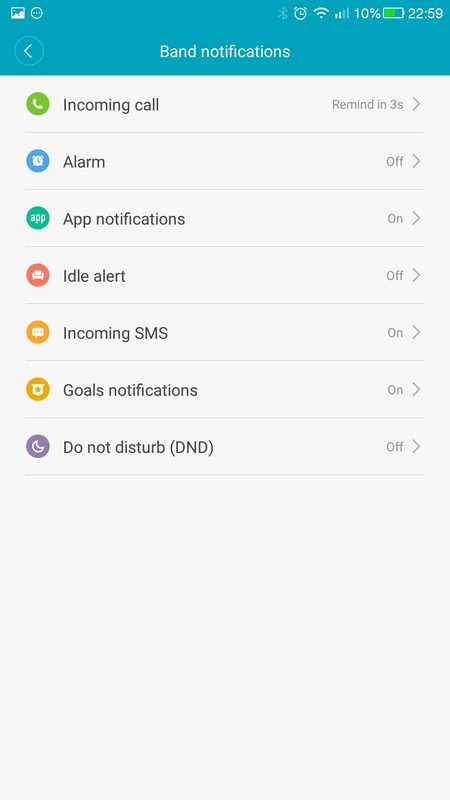 Does the Mi Band 2 support notifications on the display? If so what all can we expect? How is the accuracy of the Mi Band 2? 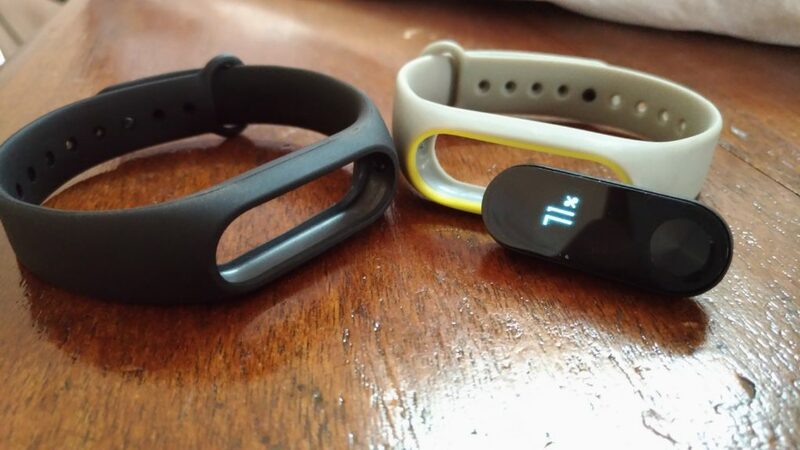 When it first came out, and we compared it with Fitbit Charge HR there was atleast 30-35% difference but with recent updates the Mi Band 2 has gotten way better and the difference has reduced to less than 10% which is impressive for its price. No band is 100% accurate and a up/down of 8-10% should be acceptable. If you’re walking around with a coffee cup in your hand or talking over the phone or have hands in the pocket, expect some slip in the steps count. 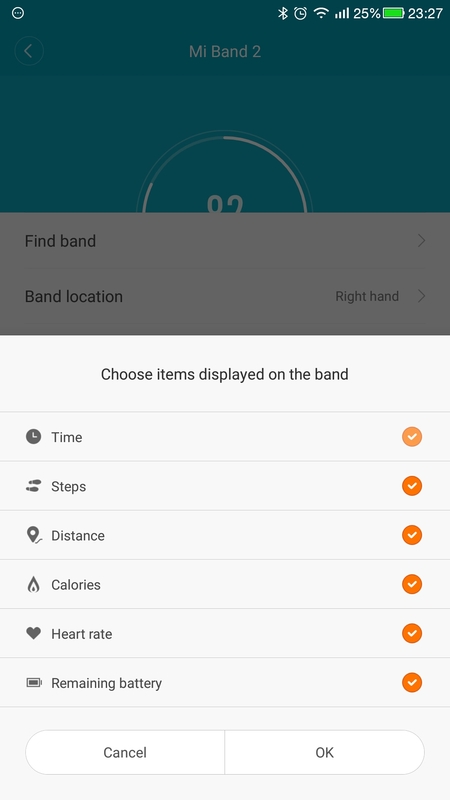 Does the Mi Band 2 has GPS support? Nope, there is no GPS on board the Mi Band 2. How good is the sleep tracker? Though there is no way for one to test if their readings are totally accurate, I made some changes to my sleep patterns and it did made me feel better subsequent mornings! This meant the Mi Band 2 was nudging me to move towards more deep sleep showing those readings. Useful stuff! How good is the band and the app in terms of motivational factors? Though the Mi Band 2 periodically vibrates if you do stay inactive for a long while, its just that. There is nothing truly enticing on the display or on the app that motivates you. Of course, one can set goals and you’d get a mild appreciation but when the entire game of the fitness band is to keep you motivated, the Mi Band 2 can do a little more on that front in our opinion. 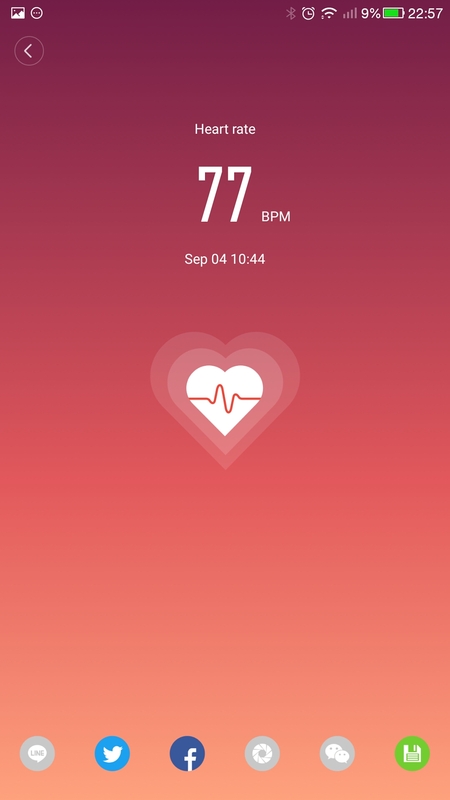 How is the Heart Beat sensor? Truth be told, its not reliable at all. Many a times it wouldn’t even show the result. There are times when the readings are highly bumped up. You are better off not relying on this. It was pretty much expected at this price. 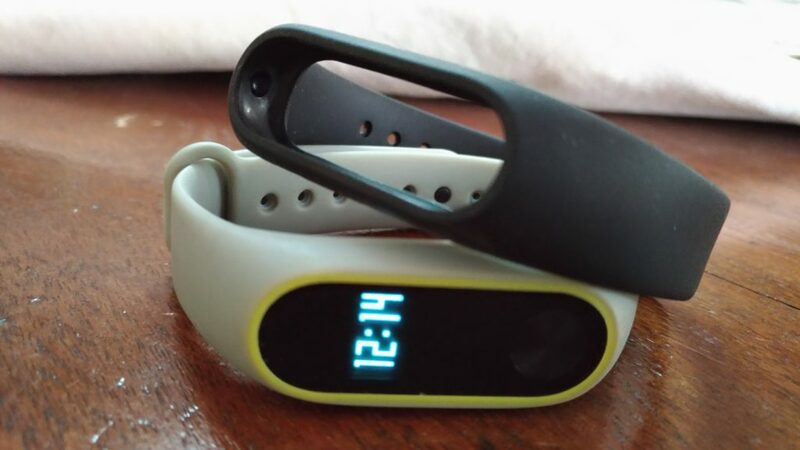 What’s good and bad about Mi Band 2? Would you recommend the Mi Band 2?